BANGKOK, 2018-Aug-08 — /Travel PR News/ — The Pacific Asia Travel Association (PATA) is pleased to announce a partnership with The Travel Corporation (TTC) to address food waste in tourism. For more information visit www.PATA.org/food-waste. 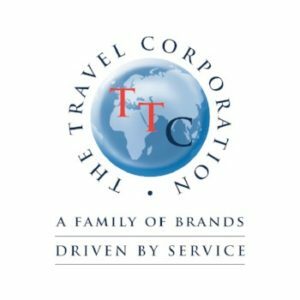 The Travel Corporation (TTC) is a highly successful international travel group. The company’s philosophy is simple – to create enriching experiences for travellers by combining an unbeatable mix of exceptional service and quality at great value. With a multi-award-winning portfolio ranging from luxury hotels and boutique river cruises, to independent holiday package companies and a variety of guided travel experiences, TTC offers meaningful travel opportunities for everyone. For more information about TTC, visit www.ttc.com. Created as a joint initiative between The Travel Corporation’s (TTC) family of brands, The TreadRight Foundation is a not-for-profit that works to help ensure the environment and communities that are visited remain vibrant for generations to come. Founded by Brett Tollman, Chief Executive, TTC, TreadRight has supported more than 40 sustainable tourism projects worldwide. As an official Diamond Sponsor of the UN International Year of Sustainable Tourism for Development 2017, TTC is dedicated to bringing the industry together with a shared goal of benefiting local communities and the environment. To learn more about past and current work at TreadRight, please visit TreadRight.org. This entry was posted in Food & Drinks, Tourism, Travel, Travel & Environment, Travelers and tagged Brett Tollman, Dr. Mario Hardy, food waste, PATA, tourism, Travel Corporation. Bookmark the permalink.